Terminix® submits press releases to media on a variety of topics. In these pages, you will find the previous 18 months of press releases categorized by topic. For more information on any topic, please reach out to our media team, and we will be happy to assist you. With mounting public concerns this summer, mosquitoes have grown from a mild nuisance to a potential hazard on the golf course. To protect professionals and fans from bites at this year’s FedEx St. Jude Classic golf tournament (June 6 – 12), Terminix®, the leading provider of termite and pest control services, has treated TPC Southwind with its exclusive mosquito service. Technicians focused their efforts on high-traffic areas of the course (such as holes 16, 17 and 18), the clubhouse, practice facilities and the volunteer tent. • Wear long-sleeved shirts and pants whenever possible. Some species of mosquitoes are aggressive daytime biters and often bite around the ankles, so long pants and socks are especially important. • Use EPA-approved mosquito repellents that contain DEET, picaridin or oil of lemon-eucalyptus. If you’re using both sunscreen and insect repellent, apply the sunscreen first, and don’t forget to reapply the repellent as directed on the label. •Treat clothing with permethrin or purchase permethrin-treated clothing. Although most professional golfers are used to encountering mosquitoes during their daily rounds, these particular hazards can be harder to avoid than bunkers and water features. Terminix mosquito service can be performed in backyards as well as commercial spaces, and is available from Terminix branches across the country. For more information or to schedule an inspection visit Terminix.com or call your local Terminix branch. ServiceMaster (NYSE: SERV) solves the homeowner's dilemma. Every day, we visit more than 75,000 homes and businesses through our extensive service network of expert professionals. Technology powers our trusted experts to engage with customers so they can order, buy and receive services when, where and how they want them. Our well-recognized brands include American Home Shield (home warranties), AmeriSpec (home inspections), Furniture Medic (furniture repair), Merry Maids (residential cleaning), ServiceMaster Clean (janitorial and residential floor cleaning), ServiceMaster Restore (disaster restoration) and Terminix (termite and pest control). Like, follow or visit us at facebook.com/ServiceMaster,linkedin.com/ServiceMaster, twitter.com/ServiceMaster, or servicemaster.com. Westham Co. is a leader in innovating, developing, and commercializing the most advanced, environmentally sustainable technologies to eradicate mosquitoes. Its keystone technology is ATSB® (Attractive Targeted Sugar Bait). Recognized as one of the most promising mosquito control solutions in the last three decades, this groundbreaking solution decimates mosquito populations in their natural environment with a patented "attract & kill" method that is based on mosquitoes' instinct to feed on sugar for energy. Westham Co. licenses the Terminix brand for its mosquito control products in the United States. *“ATSB Trial Summaries Israel 2013: ATSB with garlic oil encapsulated in beta-Cyclodextrin as active ingredient” by Dr. Gunter Muller. There’s one pesky follower Twitter users wouldn’t mind losing this summer - the mosquito. New Yorkers are leading the nation in a futile Twitter campaign against mosquitoes, registering more than 27,000 concise complaints since the start of 2015. Their furious thumbs are followed by tweets from Los Angeles, Chicago, Houston and Atlanta. Terminix offers eco-friendly mosquito service in branches across the country. Its highly effective solution drastically reduces mosquito populations and is safe for use around kids, pets and food. The formula combines mosquito-toxic garlic oil with irresistible fruit extracts to bait them in and wipe them out. The service is performed monthly and is proven to kill more than 90 percent of mosquito populations in two to three weeks1. •	If the cities were ranked per capita, Glasgow, Mont., would come in at No. 1, followed by Kingsville, Texas; Key West, Florida; Aberdeen, South Dakota; and Woodward, Okla.
•	The most-used hashtags include: #Zika, #ZikaVirus, #Health, #Summer and #Bugs. •	Women tend to have the itchiest fingers, claiming responsibility for 63 percent of the total tweets. To find the nation’s most bitter bite victims, Terminix analyzed 510,234 geo-tagged tweets shared between Jan. 1, 2015, and April 24, 2016, mentioning ‘mosquito’ as a pest. Rankings were determined based on the number of English-language tweets in each U.S. city. Terminix used Crimson Hexagon social media analytics software to collect this data from Twitter. Terminix offers a number of mosquito control options. In addition to its eco-friendly mosquito service that is safe around kids and pests, Terminix also offers a knockdown solution for immediate adult mosquito kills, larvicide to kill the immature stages developing in water and other methods to eliminate the pests. ServiceMaster Global Holdings, Inc. (NYSE: SERV) is a leading provider of essential residential and commercial services, operating through an extensive service network of more than 8,000 company-owned, franchised and licensed locations. The company’s portfolio of well-recognized brands includes American Home Shield (home warranties), AmeriSpec (home inspections), Furniture Medic (furniture repair), Merry Maids (residential cleaning), ServiceMaster Clean (janitorial), ServiceMaster Restore (disaster restoration) and Terminix (termite and pest control). The company is headquartered in Memphis, Tenn. Go to www.servicemaster.com for more information about ServiceMaster or follow the company at twitter.com/ServiceMaster or facebook.com/TheServiceMasterCo..
1. "ATSB Trial Summaries Israel 2013: ATSB with garlic oil encapsulated in beta-Cyclodextrin as active ingredient” by Dr. Gunter Mueller. MEMPHIS, Tenn., May 2, 2016 –– Terminix, the leading provider of termite and pest control services in the United States, today announced an important expansion in upstate New York, Vermont and Massachusetts with the acquisition of the northern division operations of Catseye Pest Control. Founded in East Greenbush, N.Y., by a husband-and-wife team that went door-to-door building relationships with customers, Catseye has served the greater Albany area for 29 years. John and Monica Gagne built a successful business that provides pest control, nuisance wildlife control and exclusion services to thousands of homeowners and businesses in the greater Albany area and Western Massachusetts. "Catseye is well-known for providing high-quality pest control and excellent customer service," said Bill Derwin, president of Terminix, a ServiceMaster company (NYSE: SERV). "The company's culture and commitment to an exceptional customer experience make Catseye a great addition to our team." "We are excited about this new relationship," said John Gagne, president and co-owner of Catseye. "With a long history of innovation and leadership, Monica and I are confident that joining with ServiceMaster's pest control business is the right choice for our northern division. We are proud of our team and are excited that our employees will continue to provide our outstanding services to our loyal customers for years to come." Jason Bailey, vice president of mergers and acquisitions for ServiceMaster, noted that strategic acquisitions are an important part of the overall growth strategy and the company continually searches for companies that mirror its focus on excellent customer service, professionalism and the potential for growth. "We're pleased to welcome this company to the growing ServiceMaster network," he said. The acquired business operations will continue operating as Catseye Pest Control with the support of Terminix and ServiceMaster. Catseye staff, services and guarantees will remain the same. Paul Giannamore of The Potomac Company represented and acted as sole and exclusive financial advisor to Catseye Pest Control. Catseye Pest Control provides pest control and nuisance wildlife services to residential and commercial institutions. Taking great pride in maintaining a reputation of being the top pest control service in markets served, Catseye is one of the few elite companies in the nation to receive the Quality Pro Badge, the mark of excellence in pest management. Additional information can be found at Catseyepest.com, Facebook or Twitter @catseyepest. MEMPHIS, Tenn., April 18, 2016 –Ninety-three percent of Americans are afraid of pests, with many even experiencing nightmares about them, according to a new survey from the pest control company Terminix®. Though dangerous encounters with household terrors like spiders, cockroaches and mice may seem far-fetched, the threat is more real than many people think. Especially because nearly six in 10 homeowners (59 percent) admit they’re cohabitating with one or more pests right now. Terminix partnered with Kelton Global to survey more than 1,000 homeowners ages 18 and over to expose their biggest fears about pests. The results revealed that homeowners are not only terrified of various critters, but are also unprepared to deal with them. In fact, 21 percent of millennials say they’ve considered moving just because they spotted a pest. •	Critter infestations trump other common fears. More than one-third (36 percent) of respondents said they fear pests invading their home—nearly as many as those who fear their home being damaged by a natural disaster (40 percent). In fact, a pest invasion is a scary threat for more homeowners than public speaking (32 percent), global warming (26 percent) or a celebrity reality star running for president (25 percent). •	A single pest can be a relationship deal-breaker. One-quarter of female homeowners said they would stop dating someone whose home had even one cockroach—and three percent say they’ve actually called it quits after seeing a critter. To put it in perspective, fewer would consider conflicting political views (17 percent), terrible style (13 percent), or a lack of a college degree (7 percent) to be worthy of a breakup. •	Even the toughest people fear pests. Ironically, those who consider themselves “brave” are more likely than those who don’t to have a fear of pests invading their home (44 percent vs. 32 percent). Scorpions ranked as the pest most homeowners are scared of, with 65 percent of people reporting a fear—followed by rats (55 percent), bed bugs (54 percent), bees/wasps (51 percent) and spiders (49 percent). •	Spiders are scarier than the undead. The majority of homeowners agree it would be more terrifying to spend the night in a house filled with spiders than to encounter a zombie (69 percent). Speaking of deadly, 61 percent would be more scared of rats infesting their home than an approaching tornado. •	Pests are keeping people up at night. Twenty-seven percent of homeowners say they’ve lost sleep after seeing a pest in their home. Pests have caused nightmares for 57 percent of people, with spiders being the most popular villain. Despite these fears, the survey shows homeowners aren’t leveraging the most effective methods to eliminate or prevent pest infestations. For example, close to a quarter (22 percent) admit their go-to weapon to fight against pests is a shoe. For a safer, more powerful solution to a pest problem, homeowners can find relief with services from Terminix. ServiceMaster (NYSE: SERV) solves the homeowner’s dilemma. Every day, we visit more than 75,000 homes and businesses through our extensive service network of expert professionals. Technology powers our trusted experts to engage with customers so they can order, buy and receive services when, where and how they want them. Our well-recognized brands includes American Home Shield (home warranties), AmeriSpec (home inspections), Furniture Medic (furniture repair), Merry Maids (residential cleaning), ServiceMaster Clean (janitorial and residential floor cleaning), ServiceMaster Restore (disaster restoration) and Terminix (termite and pest control). Like, follow or visit us at facebook.com/ServiceMaster, linkedin.com/ServiceMaster, twitter.com/ServiceMaster, or servicemaster.com. Kelton Global is a leading global insights firm serving as a partner to more than 100 of the Fortune 500 and thousands of smaller companies and organizations. Utilizing a wide range of customized, innovative research techniques and staff expertise in marketing, branding, PR, media, and business strategy, Kelton helps drive our clients’ businesses forward. For more information about Kelton Global please call 1.888.8.KELTON or visit www.keltonglobal.com. MEMPHIS, Tenn., March 1, 2016 –Termites continue to gnaw at the minds of consumers in California, Texas, and Florida, according to a ranking released today by Terminix®, the leading provider of termite and pest control services. Los Angeles, San Jose and San Diego made the top three spots, with Dallas following at No. 4. This ranking was created by compiling termite-specific inbound lead data from more than 300 Terminix branches across the country. The rankings represent Metropolitan Statistical Areas (MSAs) with the highest volume of leads throughout 2015. Los Angeles remains at the top of the list for the second year in a row, with the number of Californian cities jumping from four to five. Philadelphia rose by five spots, while Oklahoma City dropped three. Termite colonies are found in every state except Alaska, so despite their tendency to settle in warm climates, any city could be at risk for infestation. Termite damage can cost homeowners an average of $8,000 in services and repairs, and the critters are responsible for more than $5 billion in damage each year across the United States. Unfortunately, most homeowners’ insurance plans don’t cover these costs. If homeowners see one or more of these infestation indicators, they should contact a professional pest control company, like Terminix, to schedule a free inspection. Terminix can offer homeowners dealing with a termite infestation its Ultimate Protection® Package—guaranteed protection against termite and pest threats to achieve better peace of mind. Homes that qualify for the Ultimate Protection Package receive annual inspections to monitor for termite activity and regular exterior treatments to prevent pests like ants, cockroaches and spiders from entering. If termite activity or damage is ever detected while under the plan, the structure will be treated and the damage repair costs covered by Terminix. MEMPHIS, Tenn., November 11, 2015 – Terminix®, the leading provider of termite and pest control services in the United States, today announced the acquisition of certain assets of Alterra Pest Control. Founded in 2012, Alterra is one of the 15 largest pest control companies in the U.S. specializing in residential services. Led by entrepreneur David Royce, the company has been consistently recognized for its success in the pest control industry. "By adding Alterra's customers and employees to Terminix, we build on our already strong presence in the residential pest market," said Bill Derwin, president of Terminix, a subsidiary of ServiceMaster (NYSE: SERV). "This acquisition is a perfect complement to our existing business and enables us to leverage our technical expertise, marketing strength and systems to bring value to these new customers." Terminix will continue to service these customers under the name “Alterra” and comes with more than 400 full-time employees in 22 branches across 15 states. This acquisition continues the Terminix growth strategy of organic growth, new services and acquisitions. In the past twelve months Terminix has also acquired other well-known pest, termite and wildlife control companies in North America, including Ace Pest Control, Atlanta Pest Control, Bug Busters, Cabot Pest Control, Capelouto Termite and Pest Control, and Excel Pest Control. Terminix is the leading provider of termite and pest control services in the United States. Headquartered in Memphis, Tenn., Terminix services approximately 2.8 million residential and commercial customers in 47 states and 22 countries. Terminix provides pest control services and protection against termites, rodents and other pests threatening human health and/or safety. To learn more about Terminix, visit www.Terminix.com. MEMPHIS, TN. (Marketwired - June 08, 2015) – It's difficult for golfers at the FedEx St. Jude Classic in Memphis to focus on the seersucker jacket when there's a bloodsucker whining in their ears. That's why Terminix®, the leading provider of termite and pest control services in the United States, treated TPC Southwind's clubhouse, as well as high-traffic areas throughout the 7,239-yard course, with its exclusive mosquito control solution -- the company's largest event project to date. "Our typical territory is backyards and businesses, but our technicians were eager to tee up this project -- especially when it's happening in our own city," said Brian Baldwin, service manager for the Terminix commercial branch in Memphis. "The FedEx St. Jude Classic is a great opportunity for golfers to interact with their fans and St. Jude patients and their families. We refuse to let malicious mosquitoes interfere." Terminix professionals sprayed the course with their Attractive Targeted Sugar Bait, or ATSB®, solution, a patented technology distributed exclusively to Terminix by Universal Pest Solutions, LP. This environmentally friendly solution contains sugar from fruit extracts and encapsulated garlic oil that are safe to use around people, pets and food. The sugar in the solution acts as a bait and the encapsulated garlic acts as a gut toxin. The mosquitoes are attracted to the bait, eat it, and then die -- more than 90 percent in the three weeks following an application*. Technicians also employed Terminix's knockdown solution and larvicide to immediately destroy any adult mosquitoes and halt the hatching of their replacements. "Like water features and bunkers, mosquitoes pose a big hazard to golfers at TPC Southwind," said Phil Cannon, tournament director of the FedEx St. Jude Classic. "We appreciate Terminix lending a hand and making this year's FedEx St. Jude Classic a more enjoyable experience for our players and fans. We are eager to see the impact their mosquito service has on our leaderboard." Golf courses tend to offer warm weather, standing water and slow-moving human targets, making them ideal environments for bloodthirsty buzzers. Most professional golfers are used to their pesky presence, but it doesn't mean mosquitoes are a welcome addition to their daily round. Terminix mosquito control services are now available in Terminix branches across the country. For more information, visit Terminix.com or call your local Terminix branch. Terminix ® is the leading provider of termite and pest control services in the United States. Headquartered in Memphis, Tenn., Terminix services approximately 2.7 million residential and commercial customers in 47 states and 22 countries. Terminix provides pest control services and protection against termites, rodents and other pests threatening human health and/or safety. Terminix is a business unit of ServiceMaster Global Holdings, Inc.(NYSE: SERV), a leading provider of essential residential and commercial services. To learn more about Terminix, visit www.Terminix.com. MEMPHIS, TN. (Marketwired - May 21, 2015) – ServiceMaster Global Holdings, Inc. (NYSE:SERV), today announced that three of its companies -- American Home Shield, Merry Maids and Terminix -- were selected to receive the prestigious Women's Choice Award for 2015. 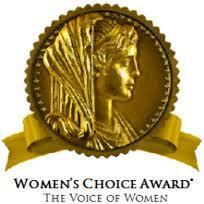 The Women's Choice Award is based on the collective opinion and judgment of female consumers according to research conducted nationally among 250,000 women. Only 27 companies were selected to receive the top honor. A full-page ad in the May 11 edition of USA Today spotlighted the winning companies. "This recognition underscores how important it is to appeal to a wide range of audiences and to consider the buying decisions of women in our marketing and customer service plans," said Rob Gillette, CEO of ServiceMaster Global Holdings, Inc., a leading provider of essential residential and commercial services. "We're delighted to see three of our brands among some very well-known companies that are being recognized." According to the Women's Choice Award website (www.womenschoiceaward.com), women account for about 85 percent of all consumer purchases. Given that approximately 70 percent of women work outside the home, their preferences for specific brands reflect important opinions on quality, service and value. Research also indicates that women are more likely to purchase a product recommended by their friends, family and peers. "When a woman is willing to stake her reputation on a recommendation, it means that brand has earned her loyalty," said Delia Passi, CEO and Founder of the Women's Choice Award. Passi is an author, speaker and advocate for female consumers. American Home Shield founded the home warranty business in 1971 and together with its subsidiaries now serves more than 1.5 million customers in all 50 states. Merry Maids, founded in 1979, is a house cleaning service that operates more than 1,300 franchises across North America. Terminix, one of the nation's leading pest control companies, began more than 85 years ago and now serves millions of homeowners in 47 states and 11 countries. The Women's Choice Award sets the standard for helping women make smarter choices by collectively identifying the brands, products, and services most recommended and trusted by women -- those that deliver a customer experience worthy of their recommendation. Awards are based on surveys of thousands of women, as well as research conducted in partnership with the Wharton School of the University of Pennsylvania on what drives the consumer experience for women versus men. As the leading advocate for female consumers, WomenCertified Inc., home of the Women's Choice Award, created the first national award based on the ratings and preferences of women to provide them with a collective voice. Women can make their preferences heard and be part of the mission toward a million voices strong by visiting the Women's Choice Award's official website and joining the network. Small towns in Kansas, Arizona and Ohio earn top spots. MEMPHIS, Tenn., May 18 2015 – When it comes to the battle against annoying mosquitoes, the biggest buzz comes from small towns across the United States. According to research by Terminix® , the leading provider of termite and pest control services in the United States, the worst whining about mosquitoes came from Goodland, a small town in the northwest corner of Kansas. Terminix searched through approximately 200 billion tweets posted in 2014 to determine which United States city is most pestered by mosquitoes. 1"ATSB Trial Summaries Israel 2013: ATSB with garlic oil encapsulated in beta-Cyclodextrin as active ingredient” by Dr. Gunter Mueller. Based on the number of mentions alone, New York City would have earned the top spot. More than 11 percent of all tweets about mosquitoes as pests came from the Big Apple—followed by Chicago (5.9%), Houston (4.3%), Los Angeles (3.5%) and Atlanta (2.9%). Top hashtags associated with mosquito mentions included #worldmalariaday, #itchy, #summer and #beer. Top words associated with mosquito mentions on Twitter included bite, kill, spray, hate and itch. According to the analysis, women are more vocal about their pest problems than men—62 percent of analyzed tweets came from women, and 38 percent came from men. To find the nation’s most bitter bite victims, Terminix analyzed 726,143 geo-tagged tweets shared between Jan. 1, 2014, and Dec. 31, 2014, mentioning “mosquito” as a pest. Rankings were determined based on the number of tweets per capita in each given city, and only English-language tweets shared from the United States were evaluated. Terminix used Crimson Hexagon social media analytics software to collect this data from Twitter. Terminix mosquito control services are backed by the Terminix Ultimate Protection® Guarantee, which gives homeowners the ultimate peace of mind. In addition to ATSB, Terminix also offers a knockdown solution for immediate adult mosquito kills, larvicide to kill the immature stages developing in water and other methods to eliminate the pests. Terminix is the leading provider of termite and pest control services in the United States. Headquartered in Memphis, Tenn., Terminix services more than 2.8 million residential and commercial customers in 47 states and 11 countries. Terminix provides pest control services and protection against termites, rodents and other pests threatening human health and/or safety. Terminix is a business unit of ServiceMaster Global Holdings, Inc.To learn more about Terminix, visit www.Terminix.com. Terminix will hire approximately 250 team members for its new Glendale customer care center. MEMPHIS, Tenn., March 13, 2015 – Terminix®, the leading provider of termite and pest control services in the United States, today announced the acquisition of the assets of Diversified Exterminators, a residential and commercial pest control company specializing in fumigation services on the Hawaiian Islands. Diversified Exterminators, headquartered in Honolulu, was established by the late Mohinder Maan in 1972 and is the largest locally-owned pest control company on Oahu. The company’s workforce is well-known for providing customers with timely service and solutions for the treatment of termites, ants, fleas, rodents, birds, cockroaches and unique pests native to the state. Terminix has seen substantial growth in Hawaii since entering the state in the 1940s. With the Diversified Exterminators purchase, Terminix now operates a total of seven branches across the islands. The acquisition is part of Terminix’s strategy to expand its footprint and increase penetration in North America. Company officials said it will not have a material impact on its first-quarter or full-year 2015 financial results. MEMPHIS, TN--(Marketwired - January 26, 2015) - Rodents invade an estimated 21 million homes each winter because like many Americans, they prefer to spend the cold months indoors. According to Terminix, a leading provider of pest control services, calls about infestations of mice, rats, squirrels and raccoons significantly increase during the winter months. "Different regions can have unique pests, but these four wildlife nuisances consistently cause winter problems for homeowners across the country," said Buck Hempel, manager of wildlife and exclusion services at Terminix. "It's important to know the signs and catch them early, before major damage is done. If you don't know what to look for, have a professional assessment done." To prevent these critters from damaging your property and spreading dangerous diseases, consider the following little-known facts from Terminix. 1. THE SMALLER THE CRITTER, THE BIGGER THE INFESTATION. Small rodents such as rats and mice are resourceful and nimble, able to enter a home through openings the size of a quarter or nickel, respectively. Once inside, the agile animals require very little space to travel unnoticed and breed very quickly, with one mouse birthing up to a dozen babies every three weeks. This means 50 to 100 mice can make themselves at home in no time. 2. CHECK YOUR ROOF -- IT'S A COMMON PLACE FOR PESTS TO ENTER. Many homeowners mistakenly believe rats and mice only enter on the ground level, when in reality they are skilled climbers and jumpers. They will scale brick, wood, siding or stucco to find a point of entry, often near vents, wires, pipes, windows or doors. Once one finds a hole or creates a hole by chewing, others will follow -- it's not uncommon to have multiple species of animals living in separate parts of one home. For example, squirrels in an attic have no problem sharing that space with mice. 3. IF YOUR HOME HAS PESTS, YOUR PETS ARE AT RISK. Infestations are very dangerous for cats, dogs and other pets. Rodents can spread more than 35 diseases and carry up to 200 human pathogens, many of which can be contracted by cats and dogs -- including lice, intestinal worms and rat-bite fever. Pets are also an overall ineffective method of pest control, as most rodents scurry in attics and wall voids bigger animals can't reach. If you see signs of an infestation, keep your furry friends safe and call in professional help. 4. CRITTERS CAN THRIVE IN EVEN THE CLEANEST OF HOUSES. Although sanitation and the exterior condition of the home can sometimes be factors in animal infestations, they are not the most common reason. Most nuisance animals entering into homes are the result of construction flaws that leave natural gaps and openings for entry in search of warmth, shelter and food. Contrary to popular belief, most of these cases are in urban areas, not rural. And it's often a neighborhood affair -- as critters breed in one home, they may look to nearby homes for additional room and resources. 5. ACT FAST, OR DAMAGES CAN BE EXTREME. It doesn't take long for a pack of animals to do serious damage on a home, from soiling and trampling insulation to punching holes in roofs. A buildup of their excretions can create air quality problems that are potentially hazardous to humans, and in the worst cases, gnawing on electrical wires can cause destructive house fires. Studies estimate up to 25 percent of fires of "unknown origin" are actually caused by rodents. Repairing the damage can be expensive -- think thousands of dollars in insulation replacements, attic restorations or structural repairs -- and if you're looking to sell your house, infestations are often deal-breakers. Animal-proofing exclusion services are the best option to properly seal and protect your home from rodents and winter pests. If you've noticed any signs of infestation -- including droppings, unusual noises or squeaks, a musty odor, marks of gnawing or nests -- you may need rodent and wildlife control support and exclusion work, and should call a professional as soon as possible. With the Terminix Pest Control Plan, you'll be protected by a proactive approach that offers you protection against 27 common pests, including rodents, ants, cockroaches, spiders and more. A technician will fill all of the home's holes, not just the area in question, to ensure there is no opportunity for the winter pests to re-enter in a different location. Best of all, when you retain service with Terminix, you're protected by the Ultimate Protection® Guarantee, the strongest guarantee in the business. Terminix acquires assets of Quebec-based Groupe Cameron. MEMPHIS, Tenn., Sept. 24, 2014 – Terminix®, the leading provider of termite and pest control services in the United States and a business unit of ServiceMaster Global Holdings, Inc (NYSE: SERV), today announced it has acquired substantially all of the assets of Groupe Cameron, a Quebec, Canada-based company. The entrance into the Quebec province demonstrates the company’s commitment to growing its Canadian presence and follows 2013 acquisitions of Toronto-based Magical Pest Control and Vancouver-based Care Pest & Wildlife Control. Founded in 1962, Groupe Cameron is a premier pest management provider, with a focus on commercial business, serving the greater Quebec and East Ontario markets through a network of five branches. The company provides insect, rodent and bird control across a variety of industry categories including agri-food, institutional, pharmaceutical, industrial, commercial and residential. Terminix places top talent behind international division. MEMPHIS, Tenn., Sept. 22, 2014 – Terminix® , the leading provider of termite and pest control services in the United States, today announced the appointment of two company executives to new roles designed to drive its strategy to increase its international footprint. Larry Pruitt, a 28-year Terminix veteran and former COO has been named president of the International Division and Jason Bailey, who was recently appointed vice president of mergers and acquisitions for ServiceMaster Global Holdings, Inc. (NYSE: SERV), will also support Terminix’s international strategy. The growth focus of the International Division includes pursuing opportunities to acquire strategic pest control operators and establish joint ventures in the United States and internationally and to develop new franchise relationships internationally. The division is also responsible for driving customer-level growth through its existing 27 international licensees and 22 domestic franchises. In addition, the team will work directly with its ServiceMaster partners who oversee international licensees for Terminix, ServiceMaster Clean® and/or Merry Maids® . Since joining Terminix in 1986, Pruitt has served in a variety of key leadership roles within the company, most recently as Chief Operating Officer. Pruitt has been instrumental in helping to build a winning culture based on solid performance, execution excellence, developing high-performing teams, and ensuring Terminix delivers a high-quality customer experience. Bailey was formerly Vice President, Financial Planning and Analysis (FP&A) with the American Home Shield brand of ServiceMaster, where he was responsible for M&A and operational analytics and reporting for the business, including working with sales, service/fulfillment, marketing, contractor relations and finance. MEMPHIS, Tenn., Sept. 24, 2014 – Terminix, the leading provider of termite and pest control services in the United States and a business unit of ServiceMaster Global Holdings, Inc (NYSE: SERV), today announced it has acquired substantially all of the assets of Groupe Cameron, a Quebec, Canada-based company. The entrance into the Quebec province demonstrates the company’s commitment to growing its Canadian presence and follows 2013 acquisitions of Toronto-based Magical Pest Control and Vancouver-based Care Pest & Wildlife Control. MEMPHIS, Tenn., Sept. 22, 2014 – Terminix®, the leading provider of termite and pest control services in the United States, today announced the appointment of two company executives to new roles designed to drive its strategy to increase its international footprint. The growth focus of the International Division includes pursuing opportunities to acquire strategic pest control operators and establish joint ventures in the United States and internationally and to develop new franchise relationships internationally. The division is also responsible for driving customer-level growth through its existing 27 international licensees and 22 domestic franchises. In addition, the team will work directly with its ServiceMaster partners who oversee international licensees for Terminix, ServiceMaster Clean® and/or Merry Maids®. Terminix acquires assets of eight pest and wildlife control companies through May 2014. MEMPHIS, Tenn., May 21, 2014 – Terminix®, the leading provider of termite and pest control services in the United States, today announced the recent asset acquisitions of eight pest and wildlife control companies spanning 10 states. These additions contribute strong management teams, robust service offerings and geographic diversity to the Terminix portfolio. Home Front Pest Control – Residential and commercial pest control company operating in the Corona, Calif. area. R.P. Streiff Exterminating, Inc. – Residential and commercial pest and termite control services located in Tucson, Ariz.
Rove Pest Control – Residential pest and termite control services with locations in Bethel Heights, Ark; Omaha, Neb. ; Bixby, Okla.; and Nashville, Tenn.
Pioneer Wildlife Services, Inc. – Residential and commercial wildlife control in the Brooklyn, Conn. area. Generations Pest Control – residential and commercial pest control company operating in Crestline, Calif.
Wild Animal Control – residential and commercial animal control company located in Plymouth, Mass. Algee Termite & Pest Control, Inc. – residential and commercial pest and termite control services in the Senatobia, Miss. area. Ernie’s Pest Control, Inc. – residential and commercial pest and termite company operating in Northwood, Ohio. Terminix Manager of Technical Services elected Vice President of the American Mosquito Control Association for 2014-2015. MEMPHIS, Tenn., Jan 21, 2014 – Stanton E. Cope, PhD, Manager of Technical Services for Terminix®, has been elected Vice President of the American Mosquito Control Association® (AMCA) for 2014-2015. He takes office at the AMCA Annual Meeting Feb. 5, 2014, in Seattle. AMCA is a nonprofit organization that provides leadership,information and education leading to the enhancement of public health and quality of life through the suppression of mosquitoes. Cope will serve as Vice President during his first year, and in successive years will serve as President-Elect, President and Past President, with varying duties. As Vice President, Cope’s primary duty is the chair of the program committee of the AMCA National Meeting for 2015 in New Orleans. Cope is only the second industry representative to serve in the vice president role since AMCA’s founding in 1935. Cope graduated from Swarthmore College with a degree in biology. He went on to obtain a Masters in Entomology from the University of Delaware and a PhD in Public Health from the University of California, Los Angeles. He served as a medical entomologist for more than 23 years in the United States Navy, retiring with the rank of Captain. Cope joined Terminix, the world’s largest pest control provider, in September 2012. Cope is a recognized expert on the history of medical entomology and yellow fever. From 2008-2012, he served as a regional director for AMCA and was instrumental in launching AMCA’s Young Professionals group, designed to recruit a younger and more diverse membership interested in entomology, mosquito control and pest management. Terminix is also a Bronze Level Sponsor of the AMCA, a donation that is applied exclusively to the student competition fund. The American Mosquito Control Association, founded in 1935, is a scientific/educational, not-for-profit public service association operating under the corporation laws of the state of New Jersey. It is world-wide in scope, with approximately 1,600 members or subscribers to its publications in more than 50 countries. The majority of its members are in the United States. Under its bylaws, only individuals can be "regular" members, and much of its activity is performed by volunteers, approximately 150 of these serving on Committees. It is an "open" association and anyone may join. The Board of Directors is composed of five officers, nine regional directors and an industry director, all elected by the membership. Terminix awards its creative business to Havas Worldwide Chicago and Hawkeye Dallas following an extensive review. (MEMPHIS, Nov. 18, 2013) Terminix, the world’s largest termite and pest control company, has awarded its creative business to Havas Worldwide Chicago and Hawkeye Dallas. The Memphis-based company’s decision came after a handful of finalists emerged following an extensive review. Havas will be responsible for branding, TV, and print. Hawkeye will lead on digital and direct marketing. The first new creative execution of work for Terminix, a ServiceMaster brand, is expected to debut early in 2014. The SeviceMaster Company has announced Bill Derwin will join the company as president of Terminix. Memphis, Tenn., November 4, 2013 - The ServiceMaster Company, one of the world’s largest residential service networks, announced today that Bill Derwin will join the company as president of Terminix, effective November 11. He will report to ServiceMaster Chief Executive Officer Robert Gillette. Derwin joins Memphis-based ServiceMaster from the Otis Elevator division of United Technologies Corporation, a $57 billion dollar company which provides a broad range of high technology products and support services to the aerospace and building systems industries. The company’s other divisions include Pratt & Whitney and Sikorsky. “One of my top priorities since joining ServiceMaster has been filling key positions on my executive team with performance-driven leaders who bring a passion to win every day,” said Gillette. “At Otis, Bill established an outstanding 11-year track record of driving growth in a highly competitive environment. He’s a proven, results-oriented leader who brings significant global experience in growing businesses through a combination of acquisitions, joint ventures, organic growth and service excellence. Bill’s background will be especially helpful as we explore opportunities to grow Terminix by expanding our commercial and international segments. ServiceMaster Global Holdings, Inc. (NYSE: SERV) is a leading provider of essential residential and commercial services, operating through an extensive service network of more than 7,000 company-owned, franchised and licensed locations. The companyΓÇÖs portfolio of well-recognized brands includes Terminix (termite and pest control), American Home Shield (home warranties), ServiceMaster Restore (disaster restoration), ServiceMaster Clean (janitorial), Merry Maids (residential cleaning), Furniture Medic (furniture repair) and AmeriSpec (home inspections). The company serves approximately 5 million residential and commercial customers through an employee base of approximately 13,000 company associates and a franchise network that independently employs an estimated 33,000 additional people. The company is headquartered in Memphis, Tenn. Go to www.servicemaster.com for more information about ServiceMaster or follow the company at twitter.com/ServiceMaster or facebook.com/TheServiceMasterCo. MEMPHIS, Tenn., Oct. 4, 2013 – Terminix, the world’s largest pest controlprovider, today announced it will hire approximately 250 team members for its new Glendale customer care center by the end of March 2014. The first two training classes began Oct. 1 at the new 32,800-square-foot facility located in the Westgate Entertainment District at 6770 N. Sunrise Blvd. in Glendale, Ariz.
"This new Glendale facility reinforces our commitment to enhancing the Terminix customer experience and providing one-call resolution to any customer questions or concerns,” said Larry Pruitt, president of Terminix. Terminix opened a 25,000-square-foot customer care center in Tampa, Fla. earlier this year, employing approximately 200. The Glendale location will further enhance the customer experience and demonstrates the company’s commitment to service excellence. Terminix joins forces with London Luxury to develop pest protection products. MEMPHIS, Tenn., Sept. 26, 2013 – Terminix, the world’s largest pest control provider, today announced a strategic initiative with London Luxury, a leading manufacturer of innovative and premium home goods, to develop a line of products to protect consumers against irritating, and sometimes harmful, pests. Initial offerings include a variety of bedding and travel products to shield consumers and their possessions from insects such as bedbugs and fleas. All products will come with a complimentary in-home inspection and evaluation from Terminix as well as tips on how to avoid a bedbug or insect infestation. The products will also include a lifetime guarantee. In addition to residential and commercial pest control services, Terminix has recently expanded its services to include a variety of retail offerings such as theTerminix ALLCLEAR® line of mosquito solutions. The brand alignment with London Luxury allows for an additional sales channel. London Luxury will begin to partner with national retail chains to launch the new Terminix products. “We are delighted to partner with Terminix, the most trusted name in pest control, to bring to market innovative products and programs that will help protect people and their personal belongings from bedbugs and other insects,” said Marc Jason, chief executive officer of London Luxury. Terminix acquires assets of Vancouver-based Care Pest &amp; Wildlife Control. MEMPHIS, Tenn., Sept. 25, 2013 – Terminix®, the world’s largest pest and termite control provider, announced today it has acquired substantially all of the assets of Vancouver-based Care Pest & Wildlife Control. Founded in 2000, Care Pest & Wildlife is the largest independent pest and wildlife control company in British Columbia, specializing in general pest, bedbug, bird and wildlife control for both residential and commercial accounts. Led by Peter Steinfort and Anthony Hung, the company will continue to operate under its current brand name following completion of the acquisition. Under the direction of Terminix, Steinfort and Hung will serve in leadership roles within the company. The company’s first Canadian asset acquisition marks strategic entry into growing market for pest control leader. MEMPHIS, Tenn., August 26, 2013 – Terminix, the world’s largest pest and termite control provider, announced today its entry into the Canadian pest control market with the acquisition of substantially all of the assets of Toronto-based Magical Pest Control. Founded in 1997, Magical Pest Control is one of the largest pest control companies in Ontario, specializing in commercial accounts and the property management sector, while also treating residential customers. Led by President Mark Joseph, the Toronto company served customers throughout Ontario and eastern Canada. Terminix’s Toronto operations will provide commercial and residential pest control services under the Magical Pest Control name. Under Terminix’s leadership, Joseph will continue to operate the business and work closely with the Terminix Commercial team. Terminix announces that Ken Christianson has been named Commercial Division Sales Manager. OMAHA, Neb., August 6, 2013 – Terminix, the world’s largest pest control provider, today announced that Ken Christianson has been named Commercial Division Sales Manager. Over the next few months, Christianson will be visiting Terminix commercial branches nationwide, learning more about the company in an effort to ultimately increase average sales per month for commercial associates, meet or exceed sales goals, and improve commercial retention. Christianson is a 25-year commercial pest control industry veteran. He spent the majority of those years at Presto-X-Company, where he rose from Branch Manager to the positions of Director of Strategic Account and Vice President of Sales and Marketing. For the past three years, Christianson has led the sales team at Plunkett’s Pest Control, one of the nation’s largest independent providers, well-respected throughout the industry for its comprehensive sales training programs and commercial service protocols. In his new role, Christianson will report to Steve Good, Vice President of Sales for Terminix. “With Ken’s vast sales and service experience, I am confident he will be a strong addition to our sales leadership team,” Good said. Christianson and his wife live in Omaha, Neb., with their three children. Terminix reports an increase in swarms of tawny crazy ants in Gulf Coast states. MEMPHIS, Tenn., October 24, 2013 – Ants have long been America’s biggest nuisance pest, but a particular species is wreaking havoc for property owners across the South. The tawny crazy ant – known for its quick and erratic movements – could very well be the most challenging of any ant species to control, according to pest management professionals. That’s because tawny crazy ant colonies often contain tens of thousands of workers and multiple queens that overwhelm treated areas. And while they don't sting or bite, this species of ant can cause significant structural harm – an estimated $146.5 million in residential and commercial damage annually, according to an April study from Texas A&M University. Terminix®, the world’s largest pest control provider, has reported increases in the prevalence of tawny crazy ants in Gulf Coast states such as Florida, Mississippi, Louisiana and Texas. Outside, crazy ants thrive and multiply in moist, wooded areas such as within landscape mulch, litter, loose barks on trees, and piles of lumber or bricks. Inside, nests can be readily established within walls, beneath carpeting and in other suitable voids or spaces. The tawny crazy ant or its close relative, the Caribbean crazy ant, was first seen in North America in south Florida in the mid-1990s. This ant species is primarily spread through shipments of landscape plants, shipping containers and similar goods. Because they do not feed much on traditional ant baits, the key to control is to find the colonies and subcolonies and treat them directly. Regular inspections and service are necessary to find and treat new tawny crazy ant colonies as they move from neighboring properties. Proactive measures can be taken by utilizing the services of a pest control company such as Terminix. Eliminate piles of lumber, bricks or other debris that could serve as a nesting site. Keep the tree and shrub branches trimmed to prevent touching the home. Consider re-landscaping to avoid using plants that are prone to aphids and similar insects. At the very least, treat such plants for aphids regularly. Philadelphia retains top spot in fifth annual ranking of most bed bug-infested cities. MEMPHIS, Tenn., July 30, 2014 – Terminix®, the leading provider of termite and pest control services in the United States, today released its fifth annual ranking of the most bedbug infested cities in the United States, with Philadelphia, Penn. retaining the top spot for the third consecutive year. New York City topped the list for the first two years of the rankings in 2010 and 2011. While this list includes large population centers, Terminix also reports cases of bedbugs by each of its branches nationwide in towns both large and small. The majority of bedbug calls are for residential treatment, but the brand has seen a significant uptick in its commercial bedbug business in servicing public areas such as buses, movie theaters and retail stores as well. Bedbugs’ small, flat bodies make them experts at hiding. They are often found in seams of mattresses, box springs, bed frames, headboards, luggage and folded clothing, and can remain hidden for long periods of time without a blood meal. The most obvious way to detect the presence of bedbugs is bite marks to the body. However, marks may take up to 14 days to appear and can be highly variable in appearance, so look for other signs such as exoskeletons of bedbugs, live bedbugs in mattress seams, a sweet musty odor, and rusty-colored blood spots on mattresses and sheets. Bedbugs generally bite while people are sleeping, so they often do not realize they’ve been bitten until marks appear. These marks are similar to that of a mosquito, with a slightly swollen, red area that may itch or be irritated. If you suspect bedbugs in your home or business, it’s recommended that you contact a professional pest control company such as Terminix. For more information, visit Terminix.com. Terminix®, the world’s largest pest control provider, has reported a year-over-year increase in the prevalence of bedbugs in nearly every area of the country. Close living quarters and frequent visitors ? typical of college dorm rooms and apartments ? can allow bedbugs to spread, shortening the distance for the pest to travel to its next home. Bedbugs are nocturnal creatures, and therefore difficult to catch in the act of feeding. Tell-tale signs include brown spots on bedding, small blood smears on sheets and the development of a strong, musty odor in heavy infestations. Beyond their annoying bites and welts, research indicates bedbugs can pose physical and psychological health concerns as well. Bedbugs are not a sign of unsanitary conditions, but rather an unfortunate side-effect when many people come together in high-traffic areas, including college classrooms, libraries and dormitories. Bedbugs can spread from one room to the next by crawling through wall voids, under baseboards, etc. This means one student’s infestation could quickly become a neighbor’s infestation. Dorms are also vulnerable because of the traffic they see during the summer months, when they are often used to house students or others who are visiting for various camps and orientations. Although a student may return to the same room he or she vacated the previous spring, dozens of others could have called the same room home during the summer break. Earlier this summer, Terminix ranked the cities with the most bedbug activity nationwide. Many of these cities are home to large universities, so college students should be especially careful and watch vigilantly for signs of the pests. Terminix compiled the list using bedbug-specific call volume to its more than 300 branches across the U.S. The company evaluated complaint calls from customers as well as confirmed cases by service professionals when creating the ranking. Cities followed by an asterisk are also among the top 15 cities posting the greatest increase in total number of bedbug customer calls from Jan-May 2013 compared to the same period in 2012. Backpacks, purses and pant legs can all provide transportation for bedbugs. In addition to hiding in mattresses, bedbugs can also stowaway in desks, baseboards and even small openings in wallpaper. Use zippered encasements on mattresses and box springs. In the dormitory, hang all jackets or clothing. Leave nothing lying on the floor. Never pick up and repurpose used mattresses, crates or furniture discarded by others. Inspect items such as used books before bringing them into the living area. Wash (in warm water) any previously-worn clothing from thrift or consignment stores. Don’t allow your backpack or purse to sit on the floor or in close proximity to other bags. Bedbugs are notoriously difficult to eliminate and often found in locations that make them difficult to detect without the help of a professional. Pest control experts, such as those at Terminix, are trained in identifying these hiding spots and using highly specialized tools to treat bed bug infestations. Terminix experts warn of serious health threat from mosquito-borne diseases. MEMPHIS, Tenn., June 5, 2014 – Terminix®, the leading provider of termite and pest control services in the United States, today warned of two serious mosquito-borne diseases which are being reported in Florida. The Florida Department of Health this week issued a report confirming 18 cases of chikungunya virus and 24 cases of dengue fever. In all confirmed cases, the individual had traveled to the Caribbean or South America, where outbreaks number in the thousands. The imminent threat is that, upon their return to the U.S., individuals carrying these diseases may be bitten by mosquitoes that then spread the diseases within Florida and throughout the southeastern United States. The two primary mosquitoes that transmit these viruses are the Asian Tiger mosquito and the Yellow Fever mosquito, both of which occur throughout Florida and much of the United States. According to the Centers for Disease Control and Prevention (CDC), the most common symptoms of chikungunya virus infection are fever and joint pain. Other symptoms may include headache, muscle pain, joint swelling, or rash. The principal symptoms of dengue fever are high fever, severe headache, severe pain behind the eyes, joint pain, muscle and bone pain, rash, and mild bleeding (e.g., nose or gums bleed, easy bruising). Throughout the world, mosquitoes transmit other devastating viruses to humans such as West Nile and yellow fever. According to the CDC, more than 1 million people worldwide die from mosquito-borne diseases every year. The World Health Organization (WHO) recently reported that, worldwide, mosquitoes kill more humans than any other animal on Earth—including sharks, crocodiles, snakes, and even humans, combined. In the United States, West Nile virus has been reported in every mainland state since first being detected in 1999. This spring, Terminix introduced a new eco-friendly mosquito service that’s now available at its more than 300 branches throughout the country. Unlike mosquito control products that simply repel, the active ingredient in the Terminix solution kills more than 90 percent of mosquitoes within the three weeks following each application in areas surrounding a customer’s home or business. The mosquito service is available as an annual contract with monthly service applications made by a Terminix professional during the designated mosquito season based on the customer’s locale. Pricing is based on a customer’s geographic location and size of the treated area. To learn more about the new Terminix mosquito service, including how to schedule service, visit www.terminix.com. Terminix launches ambush makeover sweepstakes. MEMPHIS, Tenn., June 3, 2014 – Terminix®, the leading provider of termite and pest control services in the United States, today announced the launch of an ambush makeover sweepstakes in which the company will select daily winners of various outdoor related prizes valued at $250 and be entered to win a grand prize of a backyard makeover by HGTV designer John Gidding. Ten finalists will also receive one full year of the new eco-friendly Terminix Mosquito Service, which does not contain harmful chemicals and, is safe around people, pets and food. No purchase is necessary, so to enter the sweepstakes and contest, visit facebook.com/terminix between June 2 and June 27, 2014. Terminix’s new eco-friendly mosquito service began national rollout earlier this spring and is now available at its more than 300 branches throughout the country. Unlike other mosquito control products that simply repel, the active ingredient in the Terminix solution kills more than 90 percent of mosquitoes within the three weeks following each application in areas surrounding a customer’s home or business. The mosquito service is available as an annual contract with monthly service applications made by a Terminix professional during the designated mosquito season based on the customer’s locale. Pricing is based on a customer’s geographic location and size of the treated area. Not only are mosquitoes irritating, they can also be dangerous. According to the Centers for Disease Control and Prevention, more than 1 million people worldwide die from mosquito-borne diseases every year. The World Health Organization (WHO) recently reported that, worldwide, mosquitoes kill more humans than any other animal on Earth—including sharks, crocodiles, snakes, and even humans, combined. In the United States, West Nile virus has been reported in every mainland state since first being detected in 1999. Mosquitoes also transmit other devastating viruses to humans such as encephalitis, dengue, Chikungunya and yellow fever. For more information about the Backyard Makeover Sweepstakes and Contest, visit facebook.com/terminix. To learn more about the new Terminix mosquito service, including how to schedule service, visit www.terminix.com. Terminix introduces environmentally-friendly service that reduces mosquito populations by more than 90 percent. MEMPHIS, Tenn., May 19, 2014 – Terminix®, the world’s largest pest control provider, today announced the nationwide rollout of a new environmentally friendly mosquito service for both residential and commercial customers. The service will include the use of a new, patented mosquito control technology. Unlike other mosquito control products that simply repel, the active ingredient in the Terminix solution kills more than 90 percent of mosquitoes within the three weeks following application in areas surrounding a customer’s home or business. Field trials for this new control technology were conducted in 2012 and 2013 by researchers in Israel, and by government agencies in the United States. A phased rollout of the service begins this week in select southern markets, with nationwide availability at more than 300 Terminix branches by early June. The mosquito service is available as an annual contract with monthly service applications made by a Terminix professional during the designated mosquito season based on the customer’s locale. Pricing is based on a customer’s geographic location and size of the treated area. The centerpiece of the new Terminix mosquito service is an Attractive Targeted Sugar Bait, or ATSB®, a patented technology distributed exclusively to Terminix by Universal Pest Solutions, LP. This environmentally friendly solution contains sugar from fruit extracts and microencapsulated garlic oil that is safe around people, pets and food. While only female mosquitoes bite, both male and females require regular feeding on plant sugars for survival. The sugar in the solution acts as a bait and the microencapsulated garlic acts as a gut toxin. Following the sprayed application of the solution to a customer’s non-flowering vegetation and non-porous surfaces by a Terminix professional, the mosquitoes are attracted to the bait, eat it, and then die – more than 90 percent in the three weeks following an application. While the science behind the solution seems simple, Terminix experts say it has taken more than five years to formulate a commercial product that effectively baits and kills one of the world’s most dangerous and annoying pests. According to the Centers for Disease Control and Prevention, more than 1 million people worldwide die from mosquito-borne diseases every year. The World Health Organization (WHO) recently reported that, worldwide, mosquitoes kill more humans than any other animal on Earth—including sharks, crocodiles, snakes, and even humans, combined. In the United States, West Nile virus has been reported in every mainland state since first being detected in 1999. Mosquitoes also transmit other devastating viruses to humans such as encephalitis, dengue, Chikungunya and yellow fever. Cope has worked closely on the research and development of ATSB and came to Terminix with an impressive background in pest management, specifically, mosquito control. He served as a medical entomologist with the U.S. Navy, retiring with the rank of captain. In his time with the military, Cope had oversight of all aspects of pest management for the Department of Defense, directed federal research programs and led global licensing agreements for pest control related products. He’s also currently vice president of the American Mosquito Control Association. For more information about the new Terminix mosquito service, including how to schedule service, visit www.terminix.com/pest-control/mosquitoes/. Terminix offers simple DIY fixes to keep pests away all season. MEMPHIS, Tenn., March 21, 2014 – As the nation recovers from the polar vortex and looks ahead to warmer weather, many homeowners are engaging in spring cleaning to spruce up their homes. Terminix®, the world’s largest pest control provider, offers some simple tips to help reduce activity from the most common pests emerging in the months to come. Water from rain gutters should be directed away from the home and not be allowed to accumulate close to the foundation. Mosquitoes that bite in a person’s yard are usually breeding nearby on the property or adjacent properties. Regularly empty standing water found in outdoor pots, saucers, barrels and “kiddie pools.” Empty and refill birdbaths at least once a week. Switch outdoor lighting from mercury vapor lamps to sodium vapor lamps to attract fewer mosquitoes. Mercury vapor lights can be used to light areas and help to lure insects away from the house at night. Use a mesh screen on all windows, doors and ventilation openings. Screening will help prevent winged termites, mosquitoes and other flying insects from entering the home. Clean counters and floors regularly to eliminate food scraps that attract ants and cockroaches, and put away food in sealed containers. Do not allow pet food to sit out overnight. Pay extra attention to under appliances and sinks, as these areas are particularly vulnerable to cockroach infestations. Springtime is when many homeowners start leaving their pets outside more often, where they can unknowingly pick up pests such as fleas and ticks. In the event that they are brought into the home, fleas and ticks can hide in carpet fibers, furniture and crevices year-round. Vacuum regularly to combat these disease-carrying pests. Fix roof or plumbing leaks. The moisture from these allows termites to survive above ground. Ensure the attics and/or crawl spaces have sufficient ventilation. Research shows that proper ventilation creates an environment unsuitable forcockroaches and other pests. Avoid using plants like roses, shrubs and fruit trees that are prone to aphids and similar insects, which ants use as a primary food source. Layers of mulch and heavy vegetative ground covers hold the moisture needed by ants to thrive. Keep grass mowed, weeds pulled and leaf litter managed to deter fleas and ticks. Also trim tree branches and shrubs around the lawn edge to allow more sunlight penetration. Use soil to fill in low areas in lawns and landscaped sections where rainwater may accumulate and stand for more than seven days, which is all the time a mosquito needs to breed. Install an agitator in garden ponds or buy fish that eat mosquito larvae. The wave actions created by an agitator discourage female mosquitoes from laying eggs. Terminix wins termite business for University of California, Riverside’s oldest facility. Terminix, the world’s largest pest and termite control provider, was selected by the University of California, Riverside (UCR) to fumigate the school’s A. Gary Anderson Graduate School of Management (AGSM) facility for drywood termites. The 780,000-cubic-foot facility is the oldest building on campus and has significant historical value for both the university and the city of Riverside. Terminix provided tent fumigation and liquid defend system services to the university in March to approximately 1,000 lineal feet of the building which was infested with drywood termites – a species most often found in southern states along coastal areas and an increasing problem in Southern California. Drywood termites do not require contact with the soil to survive and form new colonies by gaining access to structures through small holes and infesting attic framings. Terminix has worked with UCR in recent years in various pest control capacities, including the tenting of the Herbarium and Botanical Gardens. Terminix leveraged its relationships with the university to win the drywood termite contract for AGSM over competiting bidders. Built in 1908 for the purpose of a ranch near Box Springs Mountain, the AGSM buidling has three attached furnasses that run underground. The once solitary structure is now surrounded by 40 buildings that house the 5 colleges that comprise UC Riverside. The resource center houses one of the first accredited entomology departments on the west coast and the original UC Citrus Experiment Station, the largest collection of its kind in the nation with 900 species of trees and plants. As swarm season intensifies, new Terminix research highlights misconceptions about termites and damage they can cause. Terminix®, the world’s largest pest control provider, recently collaborated with Harris Interactive® to gauge U.S. homeowners’ sentiment around common pests, including termites. While many respondents had a basic understanding of the damage termites can cause, several startling misconceptions also emerged. Of the more than 2,000 respondents, 94% believe termites can cause thousands of dollars’ worth of damage, yet only 26% had ever had their home inspected for termites and only 16% reported having a current termite contract. Additionally, 43% believe termites can be controlled using standard, at-home, DIY treatments, while another 30% believe damage caused by termites would be covered by their homeowner’s insurance policy – both of which are incorrect. Termite swarms are weather-driven events that typically occur on sunny, warm, calm days following a spring rain. During a swarm, winged termites leave their existing colony to find a mate and establish new colonies. While termite swarming can occur as early as February, due to unseasonably cool and wet weather this winter, activity has been delayed throughout much of the country. Terminix created the list by compiling and analyzing termite-specific call volume to its more than 300 branches throughout the country. The rankings represent cities with the greatest call volume for the period of March 1, 2013 through February 28, 2014. Termites are found in every state except Alaska and cause more than $5 billion in damage annually. Because termites generally eat homes from the inside out, they often go unnoticed by unsuspecting homeowners. Termites eat anything containing cellulose, including wood, paper, cardboard, wallpaper, drywall and even furniture. Colonies can remain hidden behind walls and other structural elements for years before their presence is detected and the extent of the damage becomes evident. Even more disturbing is that termite destruction is rarely covered by homeowners insurance, leaving the owners responsible for repairs. For more information on this year’s termite swarm season or to schedule a home inspection, visit www.terminix.com. The survey was conducted online within the United States by Harris Interactive from February 28 – March 4, 2014 among 2,040 adults ages 18 and older. For more detailed information on the survey methodology, including weighting variables, please click here. *One in 20 claim is based on actual inspections performed by Terminix. Terminix Helps Homeowners Prevent Unwelcome Houseguests This Winter. Frigid temperatures drive rodents indoors this winter, and Terminix has identified the cities with the most infestations. MEMPHIS, Tenn., Jan. 31, 2014 – Shaping up to be one of the coldest winters in memory, the recent polar vortex is driving both people and rodents indoors. Today, Terminix, the world’s largest pest control provider, released its list of most rodent-infested cities, with San Francisco taking the top spot. Terminix created the list by compiling and analyzing rodent-specific call volume to its more than 300 branches throughout the country. The rankings represent cities with the greatest call volume for the period of November 1, 2013 through January 24, 2014. Eight of the top 10 markets listed have experienced several waves of bitterly cold arctic air this winter, causing rodents to look for warmth in homes. While San Francisco and Los Angeles haven’t had the same cold weather as the other parts of the country, these port cities consistently rank high in rodent activity. Ships can be perfect harborages for rodents with plenty of stored foods, hundreds of nooks and crannies and no natural predators to keep them away. Additionally, docks and bays are ideal natural habitats for rodents with an abundance of food options including fish, crustaceans and birds. Rodents look for shelter when the temperatures drop and seek refuge in attics, garages, basements, kitchens, walls and other warm places in homes. Beyond just a nuisance, rats and mice can spread more than 35 diseases, trigger allergies and asthma attacks, and cause property damage and house fires by chewing drywall and electrical wires. Rodents cause up to 25 percent of house fires in the U.S. every year because of chewed wiring Because nearly all infestations begin outside a building, rodent-proofing exclusion services are the best option to prevent access into the home in the first place. Rats need only a hole the size of a quarter to enter, while mice can squeeze through a crack the width of a pencil. Large openings (including around pipes, soffit vents and cables) should be stuffed with steel wool/wire mesh before sealing with caulk or expanding foam, otherwise rodents could chew through to enter. Exclusion also properly seals foundation vents and crawlspace openings to prevent rodent entry. Seal all cracks in the home’s exterior, especially on the southern and western walls. Move piles of firewood, leaf piles and mulch away from home’s foundation. These can provide ample sources of shelter for rodents. Trim tree branches 6 to 8 feet away from the home. Rodents are great climbers and acrobats, allowing them to scale rough surfaces in order to access the home’s roof and exterior vents. Install a tight-fitting weather strip on the bottom of all windows and doors, including garage doors. Contact a Terminix professional about exclusion services that will help prevent rodent activity. Terminix advises homeowners to prepare for stink bugs this winter. MEMPHIS, Tenn., October 29, 2013 – Ghouls and goblins might not be the only invaders you need to avoid this Halloween. Terminix®, the world’s largest pest control provider, says homeowners should prepare for the fright of the stinky squatter. That’s right, Asian stink bugs are making their way into homes now to hibernate for the winter. Also known as the brown marmorated stink bug, the pest can slip into a home through window air-conditioners, small holes around gas lines and cable television lines, behind chimneys or any other tiny crack or crevice. To homeowners’ dismay, these smelly critters can be found hanging on curtains, lampshades, screens and clothing. The stink bug is so-named due to the offensive odor it emits when threatened or killed. The flat, shield-shaped grey bugs let out a stench some say smells like crushed cilantro, ammonia and skunk. And besides the pure nuisance of this pest, the stink bug can pose severe agricultural damage to crops. First discovered in the U.S. in Pennsylvania in the 1990s, favorable conditions this year have caused stink bugs to flourish, especially along the east coast and now into the Midwest. Parts of the country are reporting a 60 percent increase in the bugs, according to National Geographic. Prevention is the best strategy by sealing cracks and holes on the home’s exterior with silicone or caulk. Check for damaged window or door screens and for torn weather-stripping and loose mortar. Equip vents with tight-fitting insect screens. Keep outdoor lighting to a minimum. During the evenings, turn off porch lights and pull down window blinds to prevent light from spilling outside.